There's nothing nearly as refreshing as cruising down a long stretch of country road on your Road Glide®- or any HarleyDavidson® touring bike- while blaring your favorite tunes and breathing in the scenic landscape. 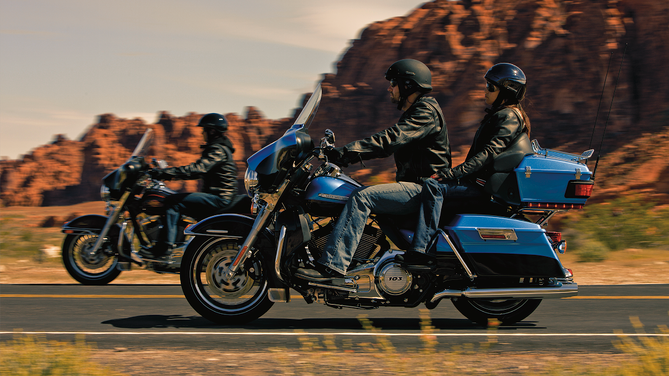 While the wind-splitting adrenaline and natural wonder alone can be enough to satisfyyour craving for freedom, Harley-Davidson leaves riders no room for hunger with the factory-standard Infotainment System on select touring models. 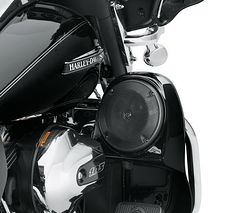 In typical H-D® fashion, the Boom!™ Box Infotainment System was designed to enhance the riding experience by bringing together modern bluetooth capabilities and a sophisticated navigation system into one convenient package. 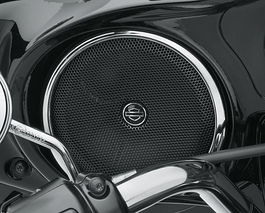 But with so much to offer, riders can sometimes be overwhelmed with the vast assortment of features and options. 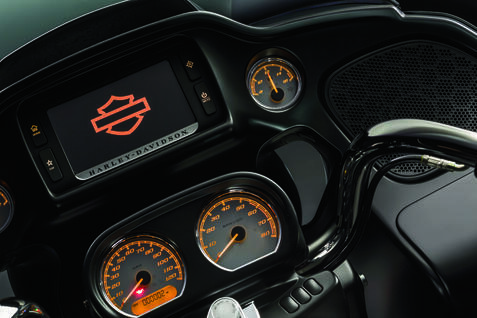 When you purchase a Harley-Davidson touring bike, you’re making an exciting investment, and the last thing we- here at Southside Harley-Davidson- would want is for you to miss out on some of the Infotainment system’s most beneficial features hidden right under your nose. That’s why we’re going to take some time to address some of your most frequently asked questions about the system in the following how-to guide. First, keep in mind that there are two Boom! Box Infotainment models available. 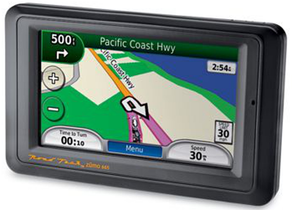 You’ll notice that the 6.5 model comes equipped with navigation, which we will be discussing below. The 4.3 model isn’t equipped with navigation, but we’ll also be digging in to some of the coolest bluetooth features of the Infotainment System, which will apply to both models. 1. How do I enter an address into my navigation system? We’ve received quite a few questions regarding this particular topic here at ISSHD. That’s because entering the address of your destination is a bit different on the Infotainment System. Many GPS systems are designed for users to key the desired address in the format of street number > street > city > state. But the Infotainment navigation system was designed for address entry in the reverse format, state > city > street > street number. You may be wondering why the system was designed this way. Well, the Infotainment navigation system will auto-populate your state first, recognizing your current GPS location. This makes it easier for the system to auto-populate your most probable intended destination. 2. How do I find nearby points of interest? If your system is already navigating to a specific destination, you can search a POI around that area, or you can select Near Your Location from the POI menu to find what you’re looking for nearby or along your current route. Another cool POI feature is the Dealerships category, which is easily accessible on the main navigation menu. 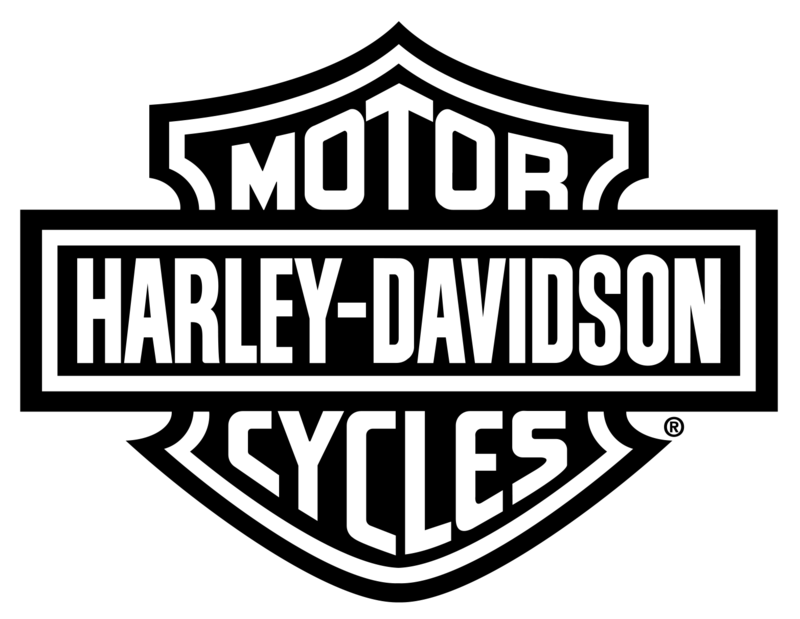 This tool utilizes your current GPS location to populate a list of Harley-Davidson dealerships nearest to you with just one touch. Let’s see your Garmin do that. The POI menu is full of handy little features to help you find and navigate to any place you’d like to go. Don’t be afraid to take some time to play around and get acquainted with the system. 3. Is there a cost to use the Infotainment navigation features? No- there is absolutely no charge for using your Boom! Box navigation system. However, maps are updated annually and these updates are available for an additional charge. We recommend purchasing updates so your map data is up to date (there’s nothing worse than navigating to a nearby pub only to find out that they shut down a year prior). 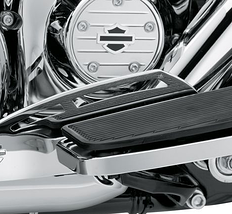 Talk to one of our Harley-Davidson Service Advisors for more information. 4. How do I pair my Bluetooth compatible phone? First, you’ll want to make sure that the Bluetooth option on your phone is turned on and that it is “discoverable.” Then, you’ll need to get to the Add New Device screen on your Infotainment system. You can get to this screen a few different ways, but the quickest will be to start from your home screen and select Com > Phone > List Paired Device > Add New Device. At this point, the system will search for and populate a list of devices to connect with. Simply select the device you’d like to pair, and follow the prompts on the screen. Now, the system will likely ask you to confirm that both your phone and Infotainment system both display a matching PIN code. Once you confirm this, you’ll be prompted to enter an emergency contact (you can opt out, if you wish), and- vaula!- you’re paired up and ready to go. 5. How do I stream music from my device through the Infotainment system? Of course, you need some tunes to rock while you roll. Once you’ve paired your device, as described in the previous step, simply select Media from the home screen and select your device from the list. Now, just launch the app you wish to stream from your phone (Pandora, Spotify, etc.) and your music will stream through your Boom! Box audio system. 6. Why can’t I hear the music I’m streaming through my Infotainment system? If you’ve followed each step properly, but you can’t hear your music through your Infotainment system, make sure the volume on your device is turned up to the loudest level. If not, music may not stream properly through your system. 7. Why can’t the person on the other end of my call hear me speaking to them? 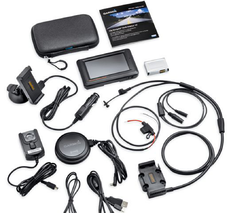 In order to make and receive phone calls properly through your Infotainment system, you’ll need a compatible headset. Without one, you’ll be able to hear your contact through your Infotainment system, but they won’t be able to hear you. For the best quality and seamless compatibility, we recommend the Boom! Audio 20S Evo Bluetooth® Helmet Headset. Learn more about Bluetooth Headset Connectivity by watching the videos below, and don't forget to stop in or fill out the form below for more information regarding the best options for you! 8. Can my passenger also pair their Bluetooth device to the infotainment system? Yes! 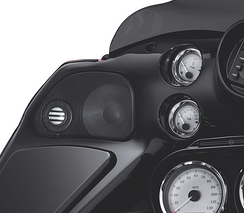 Not only can you pair both the rider and passenger devices, but you can also designate each of the devices intended purpose through your Infotainment display. In other words, one device can be streaming music while the other can be used for phone calls. Setting this up is as simple as pairing the second device (as described earlier). You can then assign the purpose for each of the devices on the List Paired Devices screen. On each of the paired devices, an icon will display whether that device is assigned to music or phone. So, there you have it. If your specific question wasn’t addressed, we would love to hear from you and get you the answer you’re looking for! More and more riders are gearing up for their fall road trips. We get asked all the time for advice on what to bring, what to leave at home, how to pack a bike, and even where to go. So Indinapolis Southside Harley-Davidson offers some trusty tips on how to make your trip one worth remembering. It seems like such a simple question, but it’s one without a specific answer. 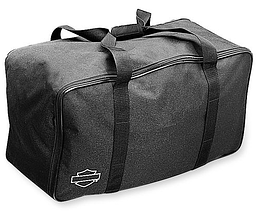 There really is no “right” way to pack for a motorcycle trip (though there are plenty of wrongs). It is more a matter of personal preference. 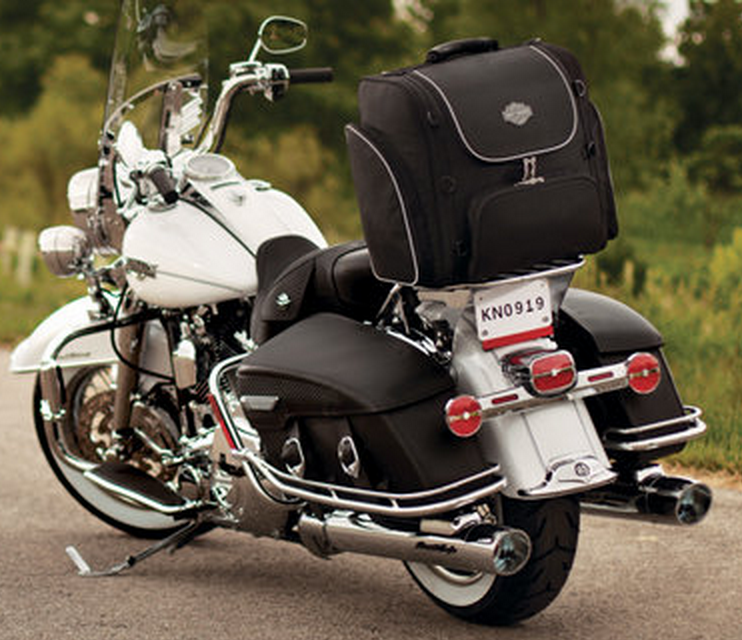 Just like some campers choose a backpack while others prefer an RV, we see riders strap a duffel bag between their handlebars, pull trailers behind their Harleys, and everything in between. It likely goes without saying, but bring with you all the appropriate riding gear you need (helmet, leathers, gloves, boots, etc. ), even if you don’t plan on wearing everything all the time. Remember that laws vary widely, so plan ahead before traveling over state lines. How can I carry more on my bike? Most motorcycle riders plan for what they’ll bring on a road trip, but many often forget about what they’ll pick up along the way. 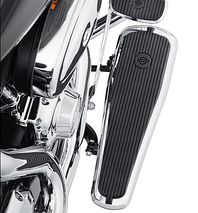 Thankfully, Harley-Davidson has several storage solutions. 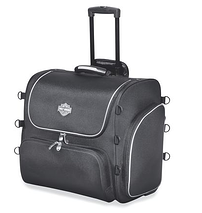 The Harley-Davidson Premium Luggage Collection includes a wide range of storage products to satisfy all of your road-tripping needs. 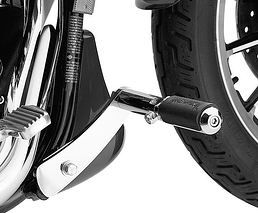 Bring your bike out to Indianapolis Southside Harley-Davidson for a customized fitting by our parts & accessories pros. From saddlebags and travel bags, to luggage racks and anything in between, our team can create all the storage space you need, no matter how far you go or how long you’re gone. 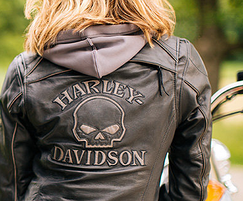 Located right here in Indianapolis, Southside Harley is the perfect starting point for any motorcycle trip. If you call central Indiana home, you know how easy it is to get to just about any place in the state in only a few hours. Want to go further? Visit our showroom and talk to a member of our team about great destinations all year long. Another great source of wisdom and friendly advice can be found within our local H.O.G. Chapter - Indianapolis Southside Chapter of H.O.G. Harley Owners Group. riders are a tightknit bunch and many are happy to share personal experiences to help you plan your ride. Visit our chapter website for membership info. Fall is a favorite season for motorcycle road trips. Before you go, swing by Indianapolis Southside Harley-Davidson for the official H-D parts, gear, and service to keep you focused on the road ahead, not what you left behind. Have fun out there. Don’t want to forget anything? 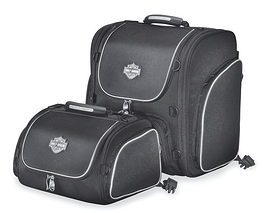 Print this helpful pack checklist courtesy Harley-Davidson and Indianapolis Southside H-D to make sure all your essentials go with you when it’s time to hit the road.